What the heck are pop rocks? Basically, it is small, rock looking effervescent candy that you pour into your mouth from a bag. These various colored treats are made of sugar, lactose (milk sugar), corn syrup, and various flavoring to give you that yummy taste. Once inside your mouth, the candy dissolves, has a bubbly effect, and creates a popping sound. It is crazy fun to eat. Where did this unusual candy come from? In 1957, General Foods chemist, William A. Mitchell, came up with the idea, but it wasn’t accessible to the public until 1975. They lasted about 8 years before General Foods pulled them from the shelf. 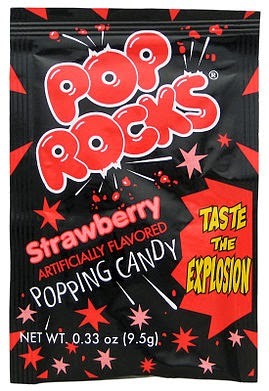 There have been various types of imitation Pop Rocks, but just not the same as the original. 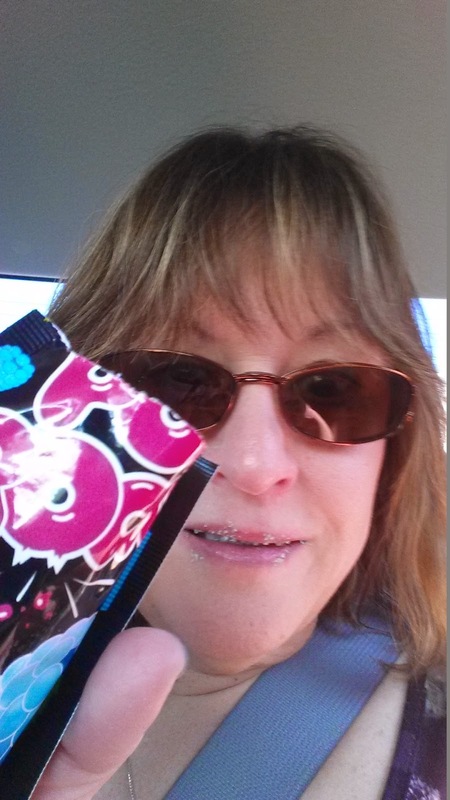 Today, Pop Rocks are just as popular as they were in the 1970’s. There are several urban legends swirling around Pop Rocks. The most prevalent one is that consuming the flavored candy, along with soda, will trigger an explosion of ones stomach. There was false information on the ingredients of the candy when mixed with saliva and the carbonation of the pop will result in a deadly eruption. Rumors were spread around that Mikey (real name John Gilchrist) from the Life cereal commercial died when he drank a six pack of Coca-Cola and ate six packs of Pop Rocks. After all, Mikey will eat anything as the commercial stated. In this case, the rumors were false and I am happy to say the John is alive and well. I am sure that consuming that much in one sitting will give you a tummy ache, but to put the rumors to rest, an experiment was conducted using a pig’s stomach. They placed six packs of the candy and a six pack of pop in the stomach and allotted time for digestion. The stomach grew to three times its size but never exploded. So basically, enjoy your Pop Rocks and a coke. I remember those and the bad teeth that came with it. Yes, I remember as well. Hey Julie, thanks for your great explanation, you rock!! You are welcome. I may not be a kid anymore, but I still like eating Pop Rocks. What's At the Nightmare Event?